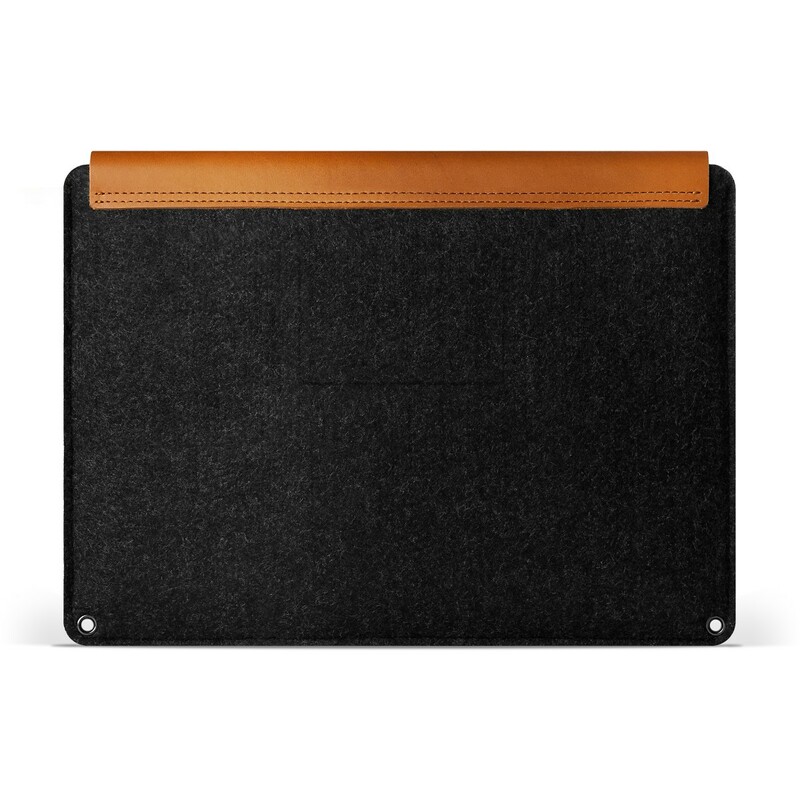 Cover your 12" Macbook appropriately by this sleeve made from felt and vegetable-tanned leather. 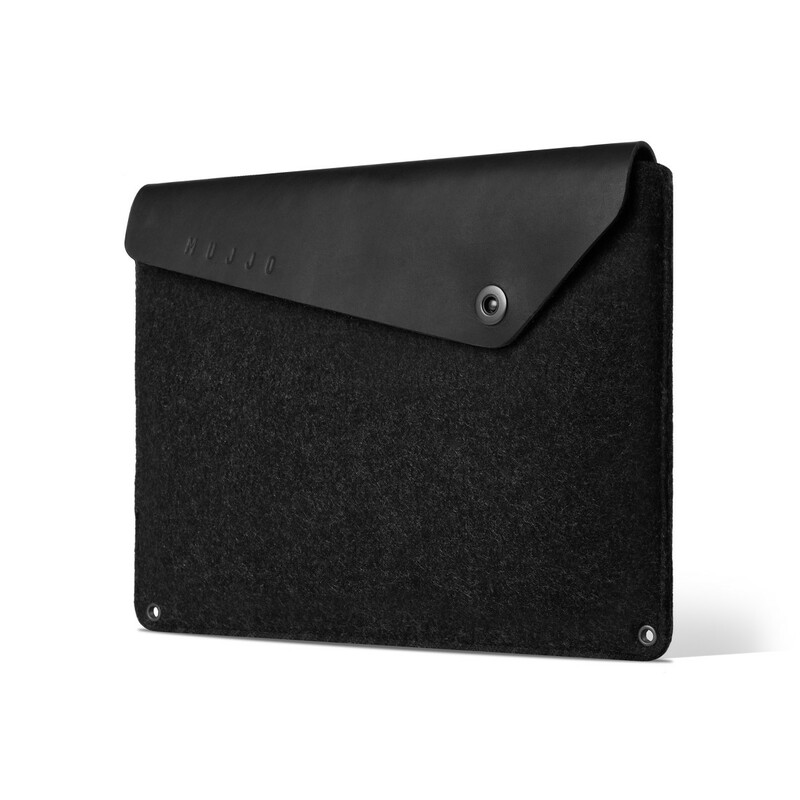 The leather flap with snap button provides a simple closure and keeps your device secure. 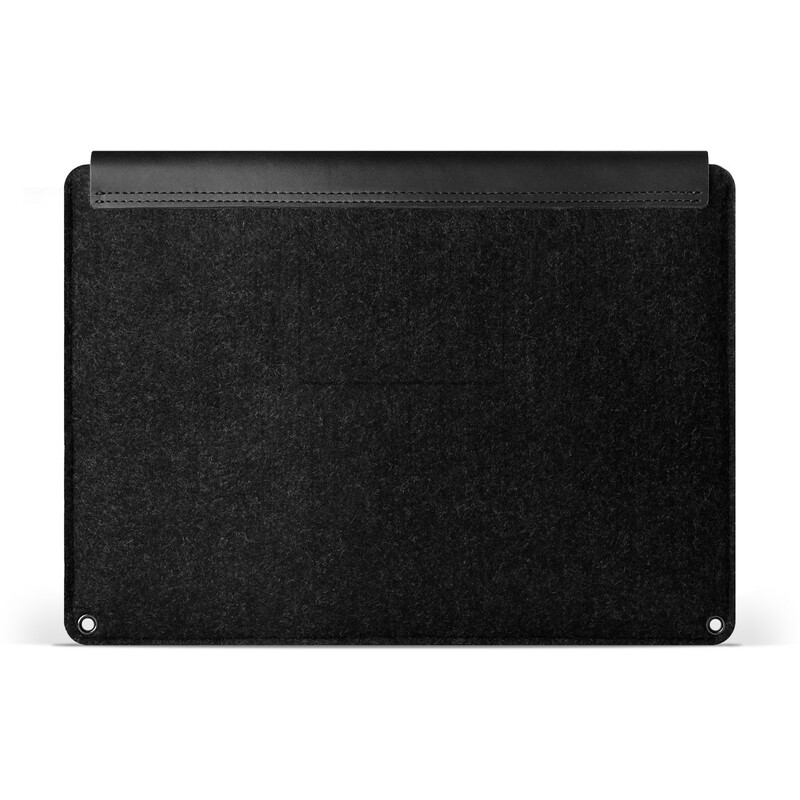 The rivets are lined to keep your Macbook from touching anything but soft felt. 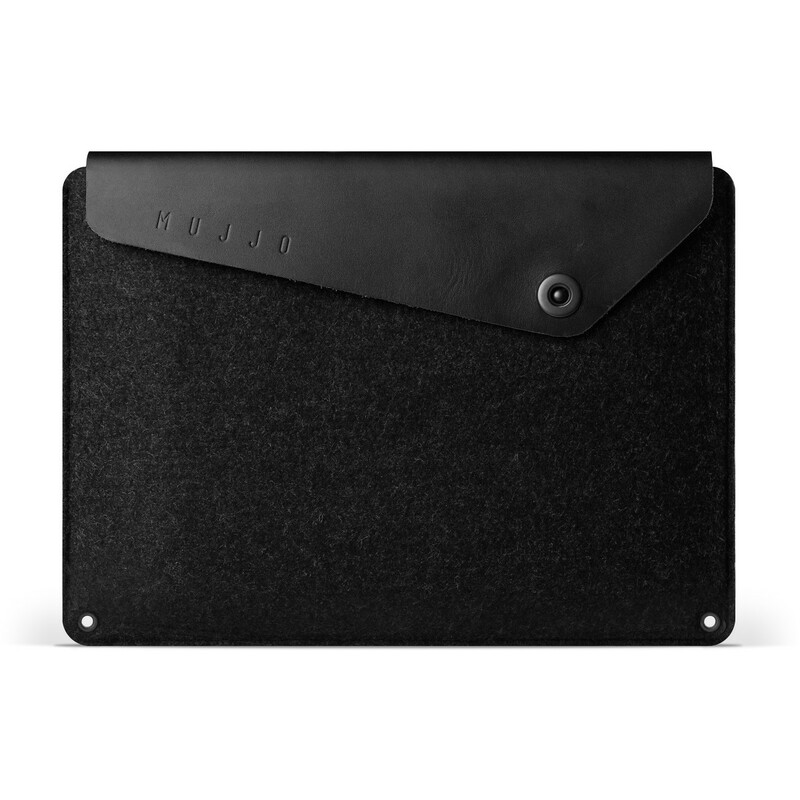 When you take the sleeve in hand, you’ll notice the quality of the materials. 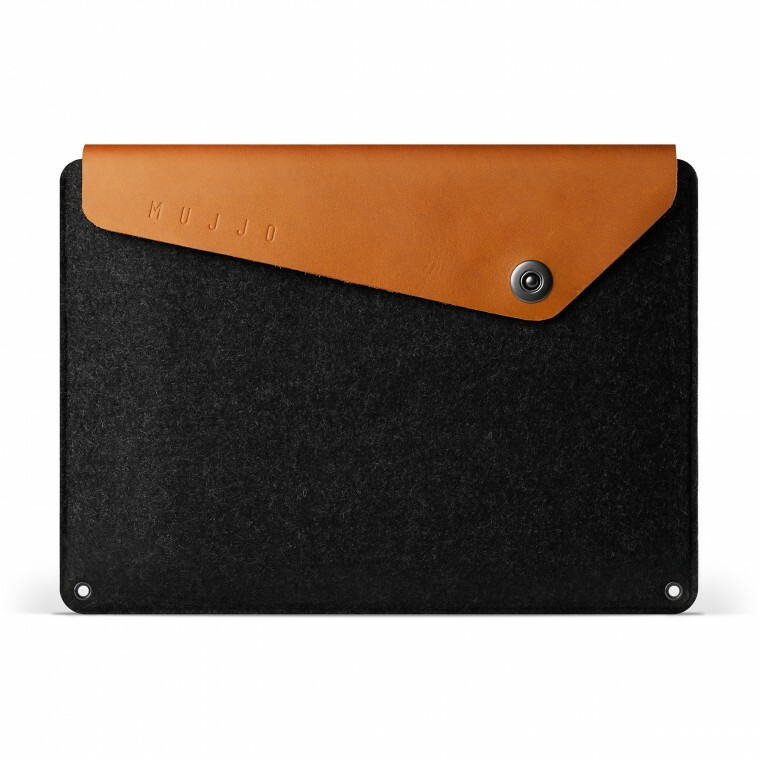 The integrated storage compartments allow you to store documents, earplugs, and other essentials. 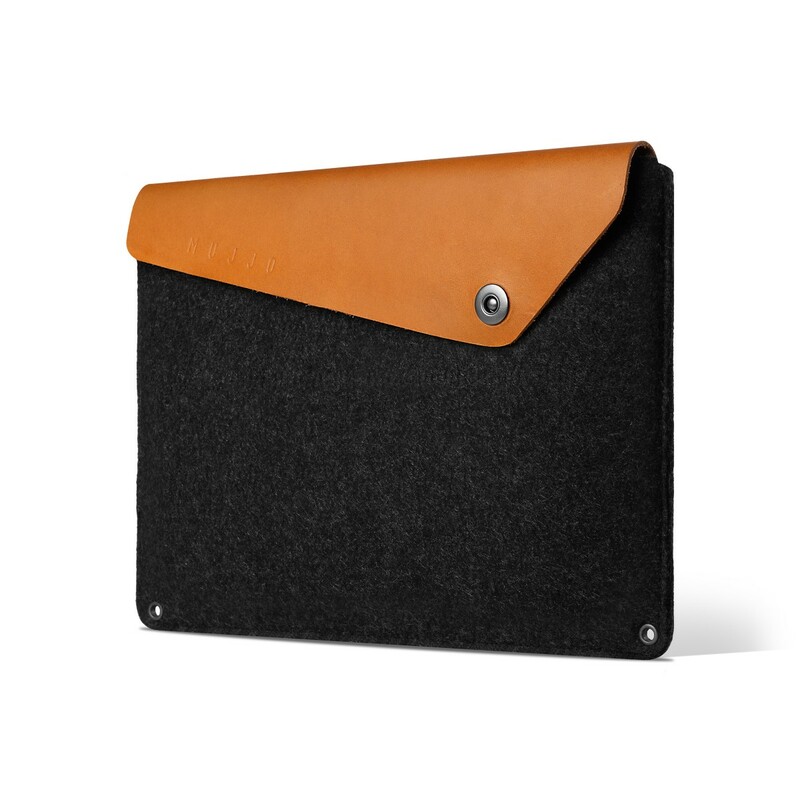 As an additional feature, integrated slots inside the sleeve can store debit/credit cards as well as a SD card.